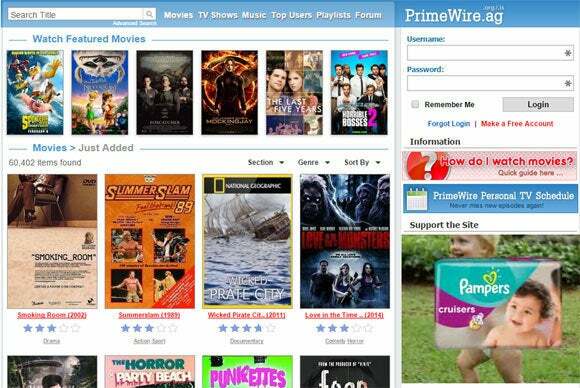 Whether they know it or not, major advertisers are subsidizing online movie piracy, accelerating a trend in which illicit video streaming is eclipsing illegal P2P file sharing and downloading of copyrighted material. That's according to an upcoming study commissioned by Digital Citizens Alliance, a nonprofit organization with the stated goal of making the Internet a safer place. The study is a follow-up to a February 2014 report that pegged the collective annual revenue of the nearly 600 illegal movie sharing sites it sampled at $227 million. According to Variety, the report reveals that video streaming was the only piracy category to post annual revenue growth, even though the number of large streaming sites dropped by half from the previous year. The bigger culprits are the legitimate online ad networks. Speaking at last week’s Digital Entertainment World conference, DCA Executive Director Tom Galvin cited the high CPM rates (cost per 1000 impressions) associated with video ads as the primary reason for this spike in revenue. Most of that income came from major brands placing video advertising on those infringing streaming sites. Why this matters: Consumers are all too often blamed for movie piracy, but one of the key takeaways from this report is that consumers aren’t the primary revenue source for these illegal streaming sites. The bigger culprits are the legitimate online ad networks that place video ads on those sites, and the companies whose ads wind up there. Pampers, Tide, and Esurance were among the brands we saw advertised on the pirate site pictured above, and brands don't get more mainstream than that. While it could be argued that major companies such as these are relying on middlemen to place their ads, ignorance of whose pockets their advertising dollars are ending in up is no excuse. Last year, the DCA estimated that even some of the smaller pirate sites it looked at were collecting as much as $100 thousand a year from advertisements. Because those sites are paying zero dollars for the movies they’re streaming, the vast majority of that revenue goes directly to their bottom lines. Hollywood should also look to the bankers and payment processors between the ad networks and the pirate sites, who are taking their own slices of this illegitimate pie. Finally, Hollywood should take their customer's preferences into account. If people want to watch movies at home, why force them to find illicit ways of doing it? Make it easy, make it legal, and make some money!